Good morning! 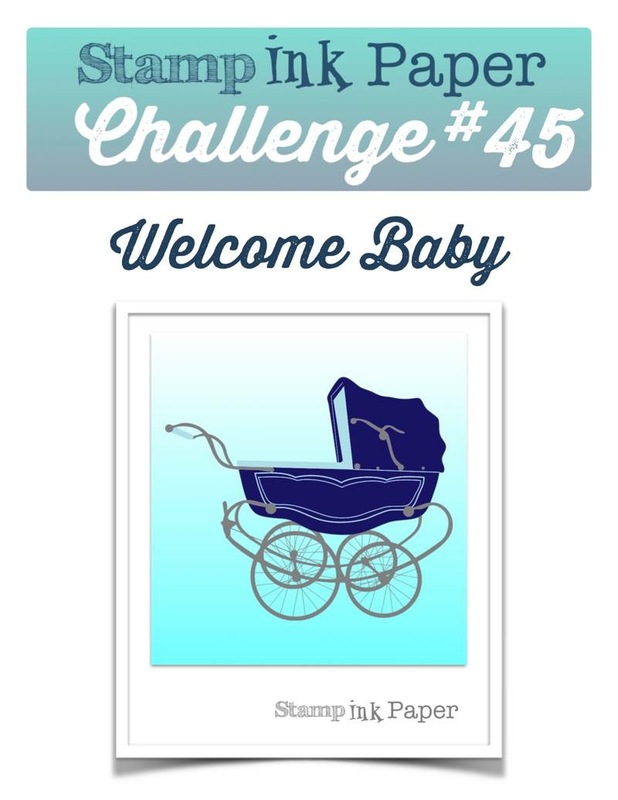 It’s Tuesday and that means we have a another challenge for you over at Stamp Ink Paper. This week our inspiration for you is all about Babies! I started with a Whisper White card base. For the next three layers I used Old Olive, Regal Rose and a piece of Whisper White that I embossed with a Darice button folder and then sponged Regal Rose ink over the embossed buttons. I adhered all those layers together and then wrapped a piece of Pretty In Pink ribbon around them and then added to my card base. 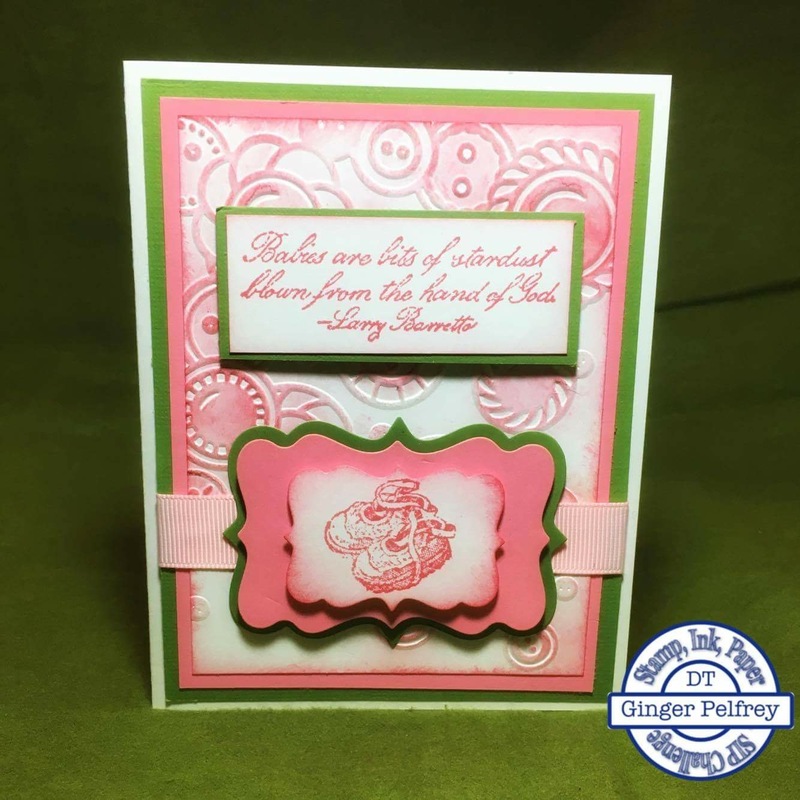 Next I die cut 3 layered labels using a Spellbinder die set in Old Olive, Regal Rose and Whisper White I stamped the Booties image on the white label using a set called Buggies and Booties in Regal Rose ink and sponged the edges, then layered all three and attached to my card. To finish I stamped the sentiment from the same set on Whisper White and layered it on a piece of Old Olive and added to my card. Thank you so much for stopping by today! I hope you enjoyed my card this week and have been inspired to play along with us!